I've already started fixing it! 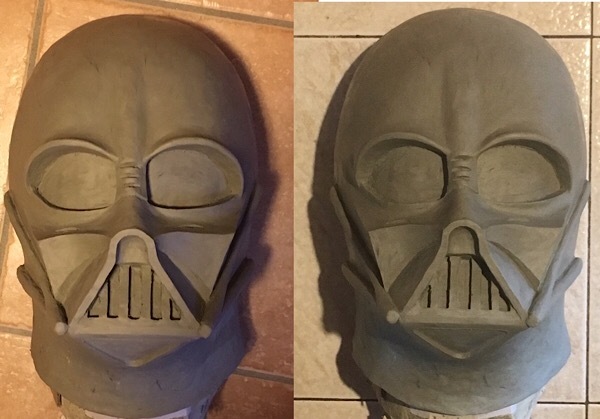 it was a bit boring because I had to redo several things, and the mustache still needs a touch up, but much more precise than before! how do you see it? Which of the two pictures show the progress? 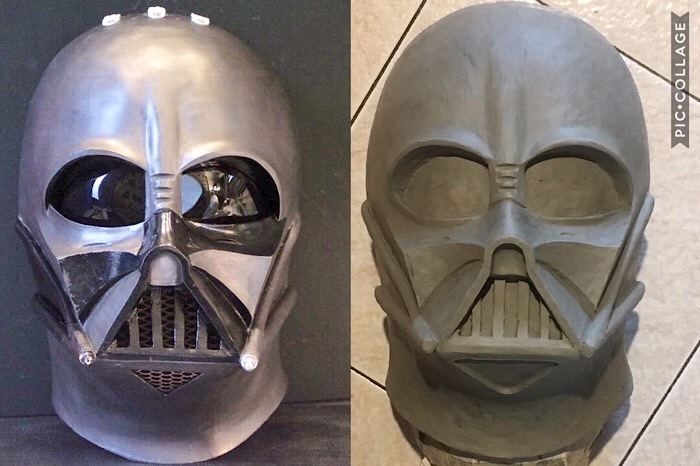 I assume it is the left one as the nose looks a bit bigger and the sides look a bit fatter. no the one on the right is ip result of the changes, probably not having taken the photo in the same place is a little different with the lights! if you look in the right you can see the corners of the mouth go more diagonally towards the outside, I have widened them a lot compared to before! this is the final result after the most recent changes! there are some little things that I will fix before the mold, but in general it seems good to me! 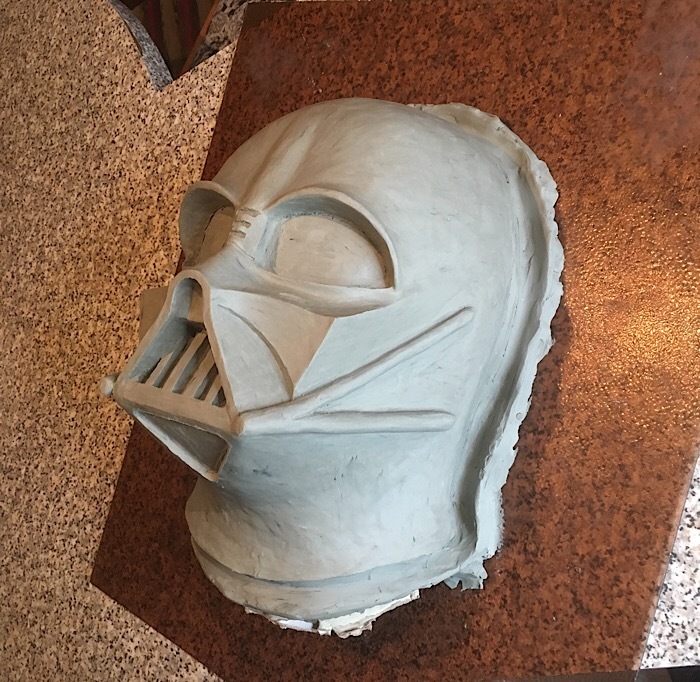 hello guys, I was now at the point of being satisfied with the sculpture and so I decided that the next modifications I will do directly on the first cast in fiberglass! 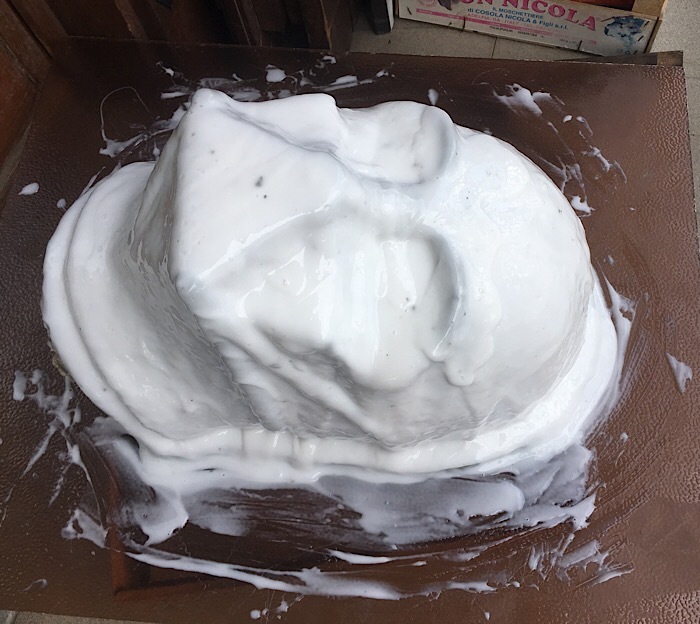 so I started making the mold, as soon as it dries well I will make the external mold in fiberglass! stay tuned! What a very nice looking sculpture. You really captured the look.